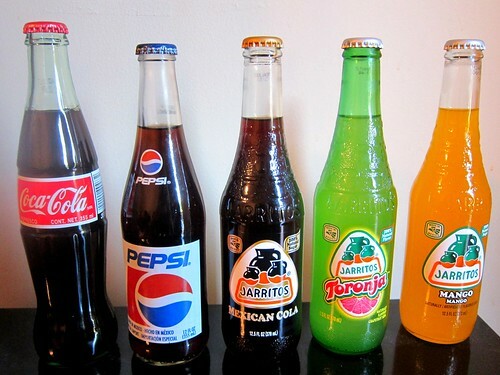 Update: I tried the Jarritos Mexican Cola with dinner tonight (rib-eye steak and french fries w/ tabasco). This is a great cola. It has a good amount of carbonation but too much. It's crisp, and not as sweet as Pepsi (which is too sweet in my opinion). 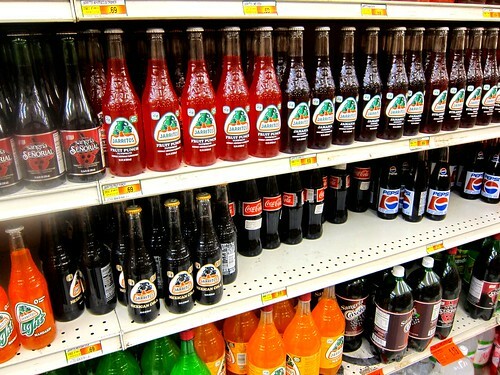 It's similar to Mexican coke except there's another flavor in there that I can't distinguish. It's a great cola when paired with something spicy like tabasco. 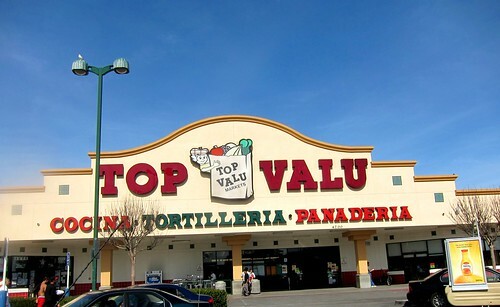 Top Valu is the shiz. Good meat and bakery selection. Love their chile rellenos too. It's not El Super (out on Century past the racetrack), but in some ways it's better.